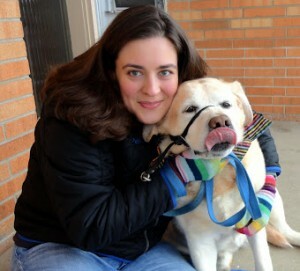 Alison: If you’ve visited our blog before, you know that we never need a reason to have a special treat. We pretty much have them all the time. We’re probably having more treats than you think because we don’t share all of them here. Alison: Oh geez, what is wrong with you? Susie: There’s still cake left…shhh. They might come find us and our cake. Have you no love of cake? Protect the cake! 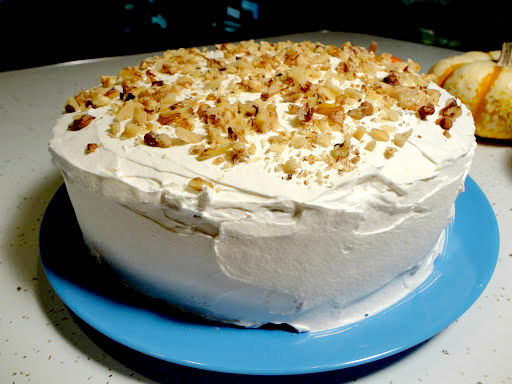 Alison: Back to what I was saying, I had to go to Walmart without you to look for #CoolWhipFrosting. Due to the fact that you were sleeping, again. Susie: Shopping is detestable. Besides you take for-ever when you go to the store. Alison: Well someone has to buy things like groceries and clothes. We’re getting off topic again. 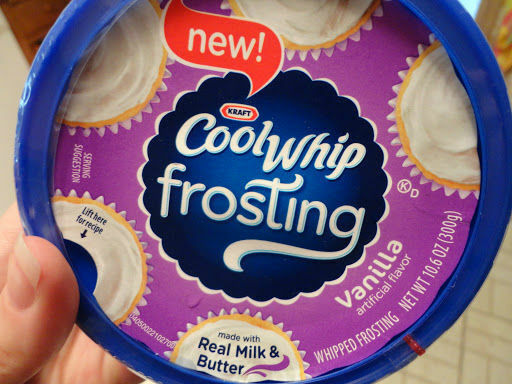 Did you even know Cool Whip made frosting? Apparently its a new product. I had to call several stores before I found one in the area that carried it. The Walmart I went to didn’t even carry all three flavors. They had chocolate and vanilla but no cream cheese. Which kinda sucked cause I was hoping to put cream cheese frosting on my carrot cake. But we went with vanilla instead. Susie: You should have gotten chocolate. There was no choice. Only chocolate. You fail. 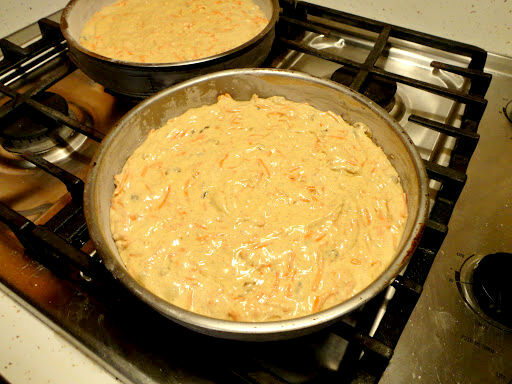 Alison: Chocolate frosting on carrot cake? I’m not too sure about that. Alison: Sounds a little too strange for me. Besides chocolate with carrots, raisins, walnuts and orange? That sounds icky. I’ll make something chocolate the next time I make a treat. 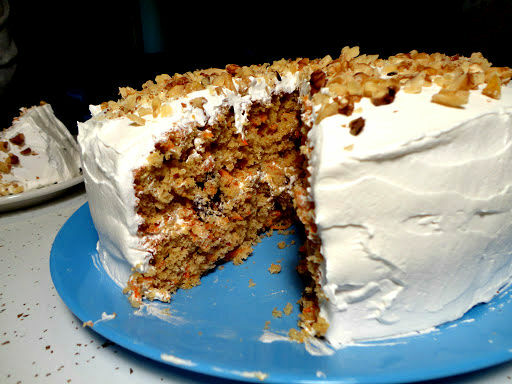 Besides everyone loves this carrot cake. 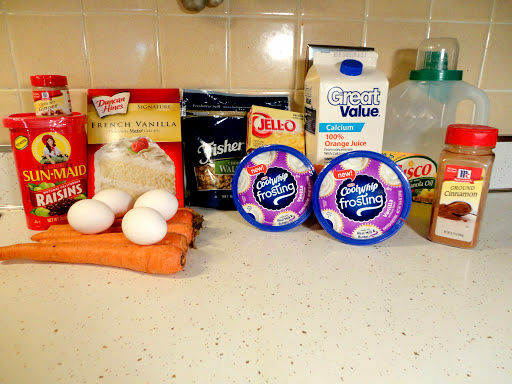 Look at all the yummy things that go in the carrot cake. I know vanilla isn’t your favorite, but you love carrots, walnuts and raisins. The batter is so thick. Susie: Hmmm, you may continue. But I expect chocolate in my future. Alison: Uh-huh, ignoring that; this cake always turns out perfectly. I never need to flatten out the layers before I frost it. Talking about frosting, its a good thing I bought two Cool Whip frostings. Even though the package said it was enough to frost a two layer nine inch cake, one container only frosted the bottom layer and most of the sides. It took almost another half of a container to completely frost the cake. Susie: It did take a lot of frosting to fully frost the cake. Those walnuts do make it look more appealing. So when are you going to cut it? Alison: You’ll have to have yours later. You’ll be sleeping by the time we cut it. Mom will probably get to have a piece before you. Great afternoon for a special treat with #CoolWhipFrosting! Susie: Figures. I even helped frost it. I put the walnuts on top too. Seven and I will have a big piece when I get up. 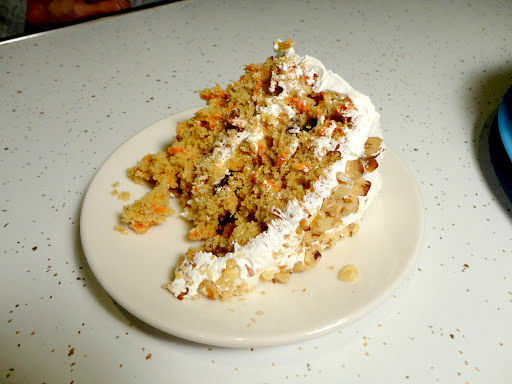 Carrot cake is breakfast food. Healthy and all. Alison: See you’ll get to have it for breakfast. That’s even better than right before bed. A better way to start the day! Susie: You’re just saying that cause I can’t have any right now. Alison: That’s not true. You know cake for breakfast is better than anything else you could have. Susie: I guess so, but I still feel like you’re tricking me. Alison: *sigh* I’m not tricking you. It just isn’t ready right now. You can also find recipe ideas at Kraft Recipes. There is also going to be a #CoolWhipFrosting twitter party on Wednesday October 24th at 1 pm EST. I quite like this frosting. The taste is a mix of Cool Whip and butter cream frosting. It’s light and fluffy but has a very rich taste. A definite change from any frosting out there on the market. There is a whole photo album of our shopping trip here on Google+. I am a member of the Collective Bias™ Social Fabric® Community. This content has been compensated as part of a social shopper insights study for Collective Bias™ and Kraft Cool Whip. 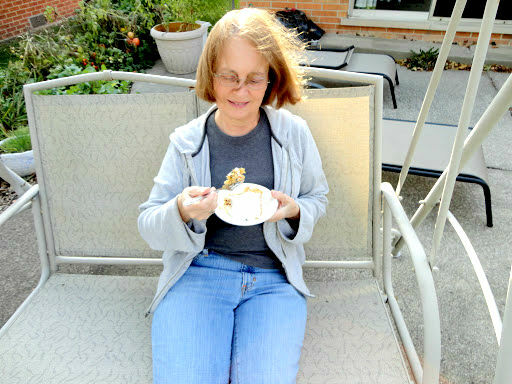 #CoolWhipFrosting #CBias #SocialFabric All opinions are my own.